Pumphrey Law Blog What to do If You Get Pulled Over? I’m getting pulled over! Oh Crap! There are blue lights flashing behind you indicating that you need to pull over. What should you do? The blue flashing lights are directed at you. What do you do if you get pulled over by the police? Be calm. Stay in your vehicle. Above all else, be calm. You should notify someone that you are being pulled over, (preferably a sober friend or parent who can come to the scene if necessary). You can also record the encounter with a law enforcement officer. Florida law says you can always tape record a law enforcement officer while he or she is in the performance of his/her duty (which I highly recommend for everyone’s safety). Most importantly, remember–be calm. Stay in your vehicle. Remember, answer no questions other than your name, date of birth, address, and place of residence. It is also important to note that signing a ticket is not an admission in Florida. The officer who approaches is focused on who and what is in the car but most importantly, everyone’s hands. Keep your hands where the officer can see them at all times, this will work to your advantage. Regardless of the officer’s demeanor, you are always respectful, polite and attentive. You are going to need three things, a driver’s license, valid registration, and valid proof of insurance. One of the reasons that the officer asks for these items is compliance. The officer may also be looking for anything that might indicate another crime. On the compliance side, the officer is going to run your information to see if there are any summons, warrants, or restrictions against you. If you have an active warrant against you, it is imperative that you call an experienced criminal defense attorney. I, fortunately, provide those services. Call Pumphrey Law at (850) 681-7777 for an initial consultation today. Have your registration and proof of insurance along with your driver’s license neatly together, (not all crumpled in a wad of confusion), and hold them outside the window awaiting the presence of the officer. This will show the officer that you are prepared, squared away and showing compliance. Stay in your vehicle. Unless you are ordered out of the vehicle, you are safer inside. Remember, there are other cars out there flying by. While Florida’s move over law is a good law, it doesn’t matter, for your safety stay in the car. There are a lot of people who get pulled over and arrested in Tallahassee, Florida. Parents teach your children how to handle a traffic stop, roleplay a traffic stop (some police agencies will even sponsor mock traffic stops) and be safe. I hope this has helped Tracey, our girls, my Dad and anyone else who reads what to do in a traffic stop. If you or someone you know has been arrested or detained by the police, then call an experienced Tallahassee criminal defense attorney. Our office is located in Tallahassee, and we take cases throughout Leon County, FL. 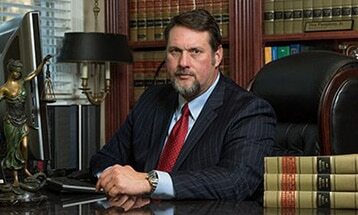 Call (850) 681-7777 now for more information about your case.